The CHALLENGED HOOD stripes are amazing and in stock! This amazing looking Dodge Challenger Stripe with factory style for the Dodge Challenger body stripes and Dodge Challenger stripes RT decals for the 2015 2016 2017 2018 and 2019 Dodge Challenger Matte black stripes R/T, SXT, and SE really does capture perfectly the aggressive look of the modern Dodge Challenger mopar. 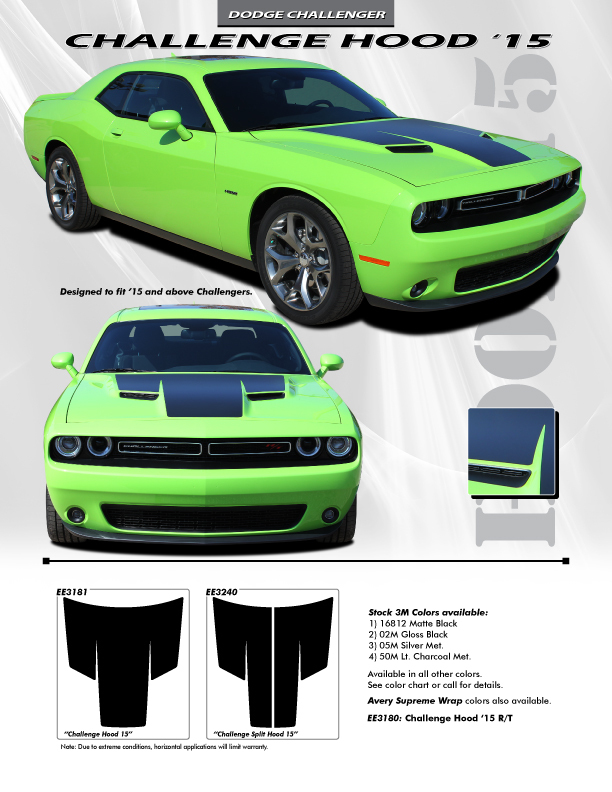 Ray's has Challenger RT Hood Stripes CHALLENGE HOOD 3M 2015-2019 Dodge Challenger Stripes, Challenger Decals, Challenger Hood Stripes, Challenger Vinyl Graphics.